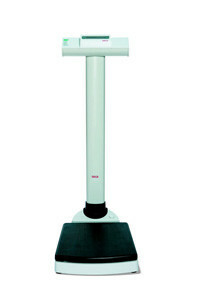 Extremely robust, precise and stable: With a capacity of 650 lbs, a large but low platform and the integrated, BMI function, this column scale has the prerequisites for the diagnosis and therapy of heavyweight patients. The durable construction copes with the most extreme loads. The energy-saving battery operation up to 16,000 weighings wit just one set of batteries means that this scale can be used anywhere as it is not dependent on AC power. 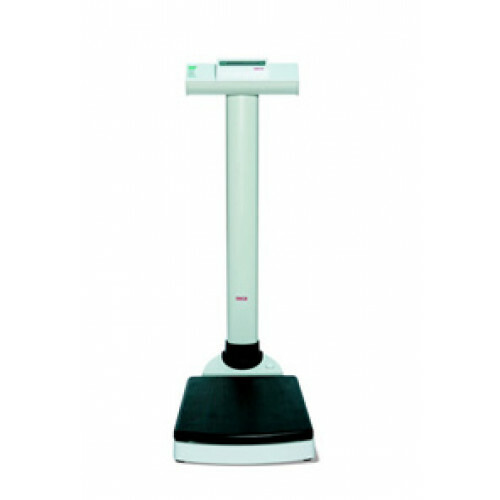 The scale is delivered with the integral measuring rod seca 220, thus facilitating weighing and measuring in one step. WHAT IS THE NATIONAL STOCK NUMBER FOR THIS PRODUCT? A National Stock Number could not be found through the manufacturer's website. We recommend contacting the manufacturer directly to see if they can provide that information for you.